Everything is getting smart these days. Smart phones, smart appliances, smart… alarm clocks? Yep, alarm clocks too. Because, why not, right? We’re working our way to a smart home right now with the addition of Google Home, a Nest Thermostat, and Phillips Hue and the Witti Beddi fits right in too. 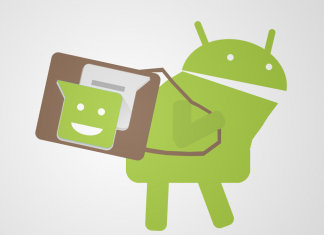 The iOS and Android Apps are really powerful. The app serves as your dashboard and the Beddi is more of a tool to execute what you set up from within the app. Do you want your Nest Thermostat to start heating your house a half hour before your alarm goes off? How about your smart coffee maker started making your coffee for the day so you wake up the wonderful smell of fresh coffee? You can do that with the Beddi. The front of the Beddi houses a nice fabric grill where the time sits. It’s a bit faint, but that’s a positive since you’ll most often be looking at this when it’s dark in your room. If you have light colored animals, be prepared to keep a vacuum or lint roller nearby because the fabric holds onto hair as you can see below. Keep a lint roller near. My white dog’s hair shows up noticeably. On the bottom of the clock are LEDs that are excellent for setting mood lighting. The Beddi doubles as a Bluetooth speaker, so if you want some lighting effects going on as you’re listening to a Monstercat Electronic Mix before bed, you can make that happen very easily. The rear of the devices houses several important lights and ports. The large window sits in front of a light designed to emulate a sunrise. Ten minutes before your alarm is set to go off the light will gradually rise to wake you up in a more gentle fashion than just a blaring alarm. In practice, I’ve found that it didn’t make much difference for how easy I woke up in the morning, but I blame my weird sleeping patterns for that, rather than the Witti Beddi. If it doesn’t help you, you can disable it like I did. 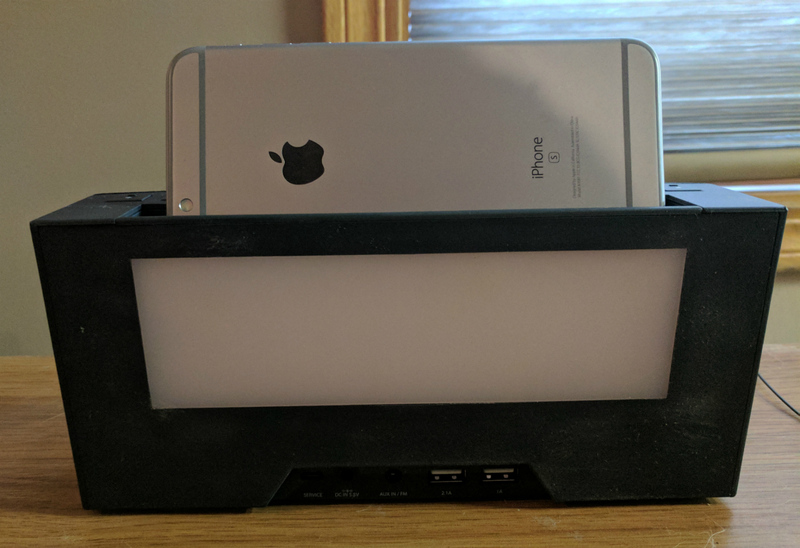 In addition to the light are a few USB ports, an aux port, and a power adapter port. Having an extra USB port for a smartwatch or tablet is very convenient, as is the slot that sits on top of the Beddi to securely place your phone. 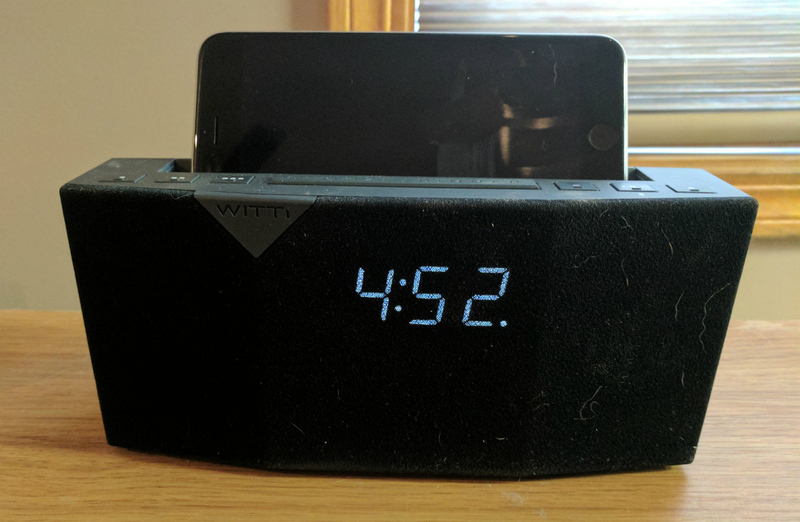 If you want just a basic alarm clock you can control your phone, the Beddi is great. But, it also offers a lot more if you feel like diving in. Baked into the functionality of the hardware and software is the ability to call an Uber with the press of a button. I don’t use Uber myself, but I don’t think this is really that much more convenient than just opening the app and selecting your options from what friends who use the Uber app tell me. One of my favorite features of the Beddi is the ability to wake up to your favorite Spotify playlist. I’d love to see Witti extend this functionality to Google Play Music too or even YouTube since I use these more than Spotify. Witti also includes a white noise generator in the app that you can play through the Beddi. I fall asleep faster and sleep deeper when I have either white noise or weather noise going on so I really appreciate this. If you’re not a fan of Spotify or white noise, the FM radio built into the Beddi works just fine too. To some, $99 for an alarm clock is a tough sell. But honestly, if you’re one of those people you probably don’t have things like a Nest Thermostat or Phillips Hue lights that expand the functionality of the Beddi. I don’t think you necessarily have to have those to justify the price of the Beddi because it’s a damn cool piece of technology on its own. I use it on a daily basis because it makes my life easier. I don’t have to worry about my phone dying or freezing and not being woken up. I can easily turn on my lights or if I had a smart coffee maker, have my coffee ready to go in the morning. Those features are really valuable to me. I’d like to see Witti to continue to innovate and add more functionality. I can justify the price, but it would be a lot easier if I could tell my Google Home to set an alarm for 7 AM and my Beddi starts going off instead of my phone. 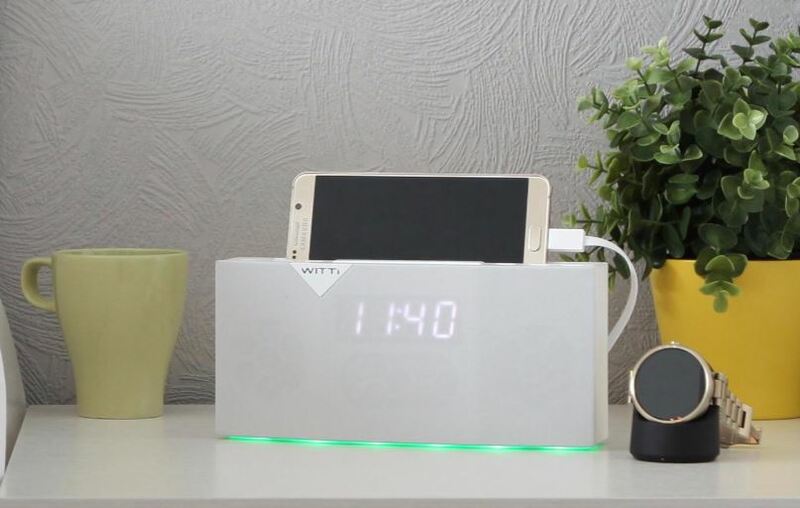 Witti makes excellent products and this doesn’t feel like a first generation product from them, even though it is. Is it perfect? No, but no product out there is perfect. I would spend my own money on it though and if you’ve come into to some Christmas cash, you should definitely give the Witti Beddi a look.